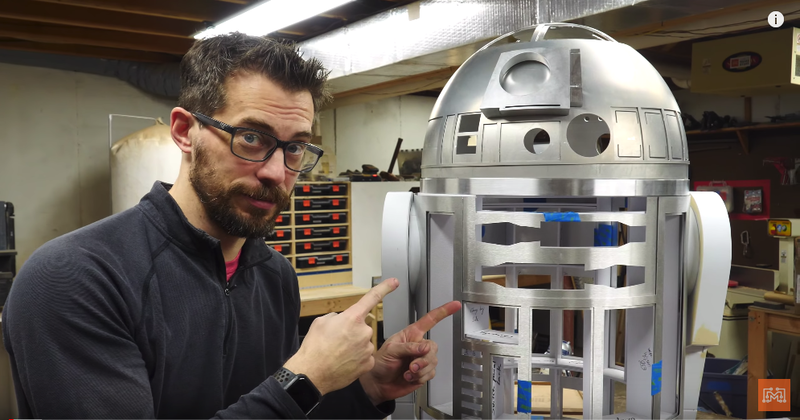 For this R2 build, I am using the amazing community at the R2 Builders Club for help and inspiration. 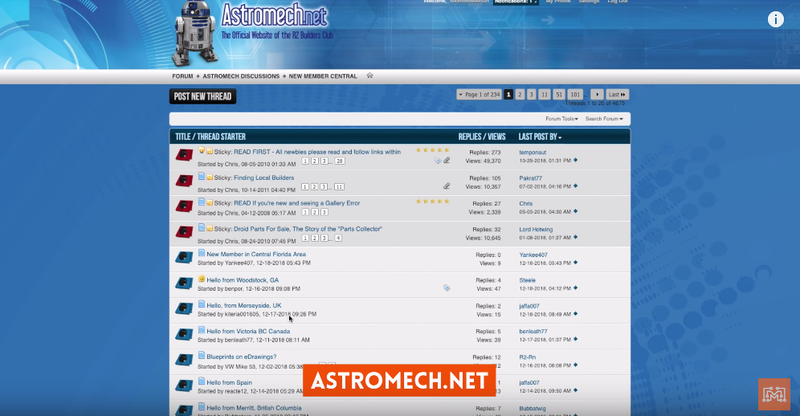 I went to www.astromech.net and found a wealth of information about material types, build plans, templates, and even access to specialized parts vendors. There are tons of different build options, but I chose to build the bulk of the unit out of styrene and cover it with screen-accurate aluminum panels. I loaded up the CAD files into my CNC. These files were given to me by an awesome builder named Mike Dempsey, and they were ready to cut. Josh cut the different pieces out of the specific thicknesses of styrene and I got busy assembling. To do this, I had to print out huge 1-for-1 templates to get the proper placement for each cut piece. I scored the placement lines onto the frame sections and used CA glue to bind them together. Using the same CAD files, we cut the leg assemblies out of more styrene. The legs were a bit more robust because they would be holding the weight of the entire R2 unit. Many of the sections were built out in sandwiches layers and ribbed joints. The legs will eventually be bolted onto the frame with some 1/4-20 bolts. This step was particularly odd for me. I had the choice of making the intricate details on my own or using the craftsmen at astromech.net to mill them out of aluminum for me. 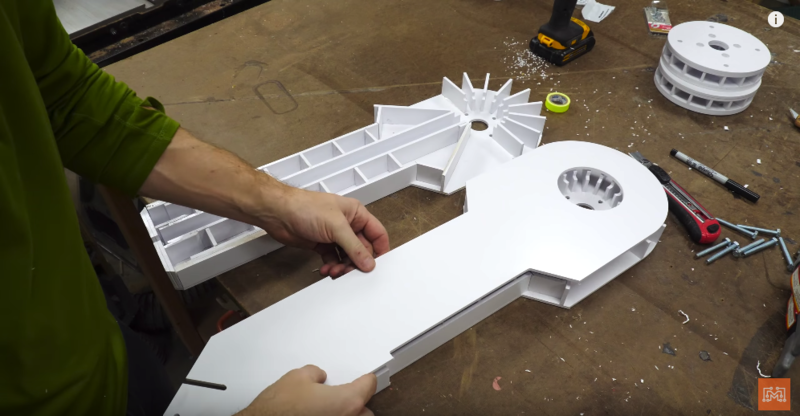 Obviously, this commercial route is more expensive, but the upside is that I have beautifully made, screen-accurate components that are ready for paint or powder coating. 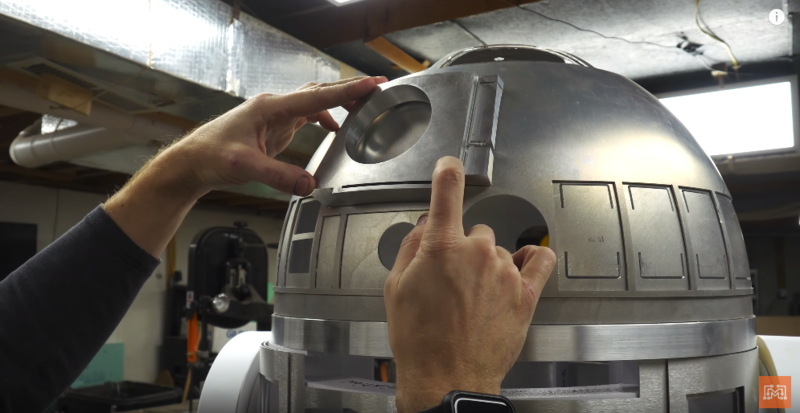 I ordered the dome, the outer skins, and many of the iconic R2-D2 widgets from vendors at astromech.net and I giggled like a 3-year old when they arrived in the mail. We could not make these parts as perfectly as the different vendors did, and I’m happy I went this route. This project is going to take a while. It is a life-long dream to have my own R2, so I didn’t want to rush the process and end up with a sub-par droid. In the next video I hope to have the rest of the body, mainly the other leg, the electronics, and some of the doors completed. 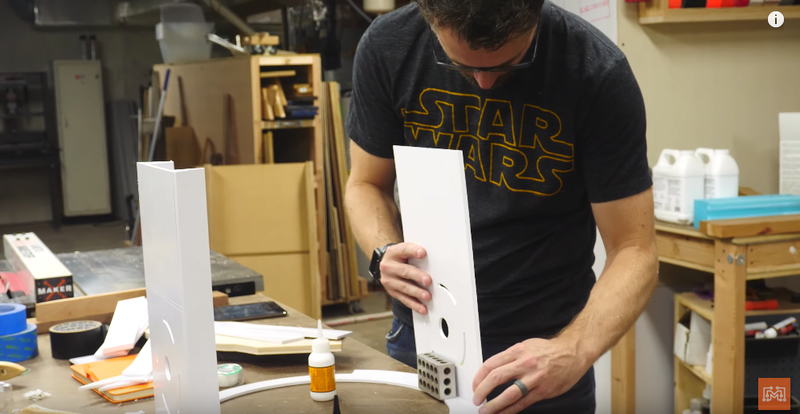 Thank you for following along with this magically fantastic build from a galaxy far, far away.